The 69th Edinburgh International Film Festival (17-28 June) gets underway this week with the World Première of actor Robert Carlyle’s directorial debut, The Legend of Barney Thomson and there’s much more to get excited about over the coming ten days of festival offerings. Brand new artistic director Mark Adams revealed this year’s line-up at the end of may including the UK premiere of Inside Out, the brand new Disney Pixar film that intends to take audiences inside the mind of a young girl to meet her various animated emotions. Amy, a documentary about the late singer Amy Winehouse from Senna director Asif Kapadia also appears in the programme having played to strong reviews at this year’s Cannes Film Festival. This year’s EIFF is bookended by the World Premières of new Scottish films with Scott Graham’s highly-anticipated Iona closing out (opposite Carlyle’s aforementioned opener) illustrating the festival’s dedication to homebred talent from the start. Scottish Mussel, Hector, Big Gold Dream: Scottish Post-Punk, Infiltrating the Mainstream and Battle Mountain: Graeme Obree’s Story will also screen. Elsewhere, this year’s festival will host Doc of the Day, a new strand in which a documentary is screened every day, followed by unique events whether it be a performance, Q&A or something else entirely. The main retrospective strand is Little Big Screen, a unique opportunity for audiences to see a selection of the best American TV movies of the 1970s/80s. This will include Noon Wine, The Jericho Mile, Salem’s Lot and Steven Spielberg’s Duel. 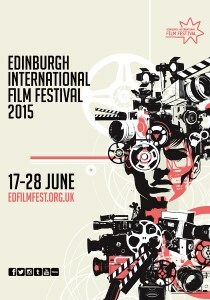 The Edinburgh International Film Festival programme, ticketing details and more can be viewed at edfilmfest.org.uk.